Have a compact view of OpenNebula state by reading this monthly newsletter. Current development stages and overviews of following events are summarised in this document to keep our customers and community up to date. 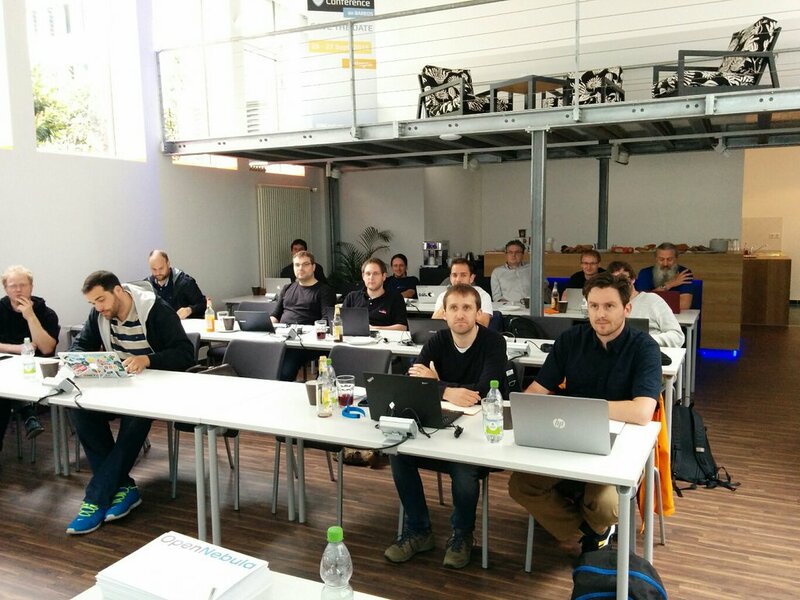 This month OpenNebula travelled to Sofia and Barcelona for two splendid Technology Days. For this and more event related information go to the Outreach section of this newsletter. For the OpenNebulaConf EU 2018, Amsterdam we are glad to announce some of the keynote speakers like Jonathan Grahl from King.com, German Gutiérrez from Booking.com, and Yordan Yordanov from Inoreader and we opened a Call for Presentations so that you can send us your suggestions for talks. Facing the last weeks for the release of the new version of OpenNebula, the team is hardworking on bug fixing and fine tuning the software, so you can just sit and enjoy the experience of deploying and managing your own public, private or hybrid cloud. For this reason we launched another hotfix release, OpenNebula 5.4.12 with minor bug fixes regarding importation of vCenter resources. Now everything is ready for the release, we cannot wait much longer for you to try out all the new features coming with version 5.6 of OpenNebula. However we still need to do some testing in order to bring you a proven, trusty and stable software. Our software is widely used around the world, thus OpenNebula needs to speak all the languages possible for the good of the community. For this purpose we have launched a Call for Translations to which any of you can contribute in a really simple way. Read more about how to contribute in this short post with more details. Now lets see some of the greatest contributions made by many of you. This month we have amazing news, keep reading! What if we tell you that in next versions of Ansible you will have full integration for OpenNebula modules, with which to deploy VMs, create Hosts and Images? Well, this is not science fiction, it is a reality now!!! Thanks to the work of the great Rafael del Valle and members of the Nordeus team, like Milan Ilic, we can say Ansible supports OpenNebula modules. This will make your infrastructure automation process a bed of roses. Ilic Milan has written this amusing article describing how to use Ansible to automate OpenNebula. Here you will find more detailed information of the functions you can use inside each module. It is indeed a good summary of the new OpenNebula modules inside Ansible. One good example of this is shown by Digital Repositories on this tweet, where they tell how they use Ansible and OpenNebula for deploying VMs and automating processes on their own private cloud. You can see the work done and contribute to this modules in Ansible’s Github page. Of course we have limited resources for developing all your demands, however as in this case, we are constantly listening to your demands and analyzing the viability for their development. If you feel like you need some specific feature and you want it to be developed by our team you can follow this guide and contribute to the OpeNebula Project. Getting things ready for OpenNebulaConf EU 2018, Amsterdam. Stil there is some place for speakers, if you wish to have a talk in this event check the Call for Presentations. Any suggestion is welcome and will be listened to joyfully. Remember that early-bird registration is available until 15th of September, don’t miss the chance to get a 20% discount in your tickets. OpenNebulaConf EU, Amsterdam 2018 is sponsored by StorPool and Linbit as Platinum Sponsor and Virtual Cable SLU as Silver Sponsor. There are still spots available to get the most of OpenNebulaConf 2018 by joining our Sponsor Program. Read more about how to sponsor and th benefits here. This month OpenNebula has travelled to Sofia and Barcelona to have two wonderful TechDays in which we have conduct a free Hands-on tutorial for the attendees.There, everyone was able to see OpenNebula in action and play with some of the basic functionalities of the software. This way participants could get an overall picture of OpenNebula’s potential and its infinite possibilities. Sofia’s OpenNebula Technology Day had great acceptance in Bulgaria, the event was a complete success thanks to the team of StorPool which organised a full equipped TechDay in which StorPool, OpenNebula and Inoreader shared knowledge and some of the latest integrations and developments. You can find all the slides following this link, under the Agenda section. Just a week after OpenNebula was ready for the action again, this time in Barcelona thanks to the organiser CSUC and the sponsor Huawei. Share, learn and discover were the three verbs that better describe this pleasing experience. Attendees could enjoy a full day of talks describing use cases regarding OpenNebula, experiences and ,of course, a free Hands-on tutorial. We hope you had a good experience just like we had. Our good partners from LINBIT have decided to host another TechDay in Frankfurt, date will be the 26th of September, 2018. It is the first time OpenNebula goes to Frankfurt and we are sure it will be an enlightening experience for us and for all of you attending. We have created a website for the Technogoly Day and as soon as we have the agenda ready we will publish it here. And for our community in the US west coast, Hitachi Vantara is hosting a in Santa Clara, CA, on the 30th of August, 2018. This was all for the month of May, be aware that we have important releases in the upcoming days so stay tuned! OpenNebula 5.6 is just around the corner and we are now launching a Call for Translations for our renewed graphical user interface: Sunstone. Any of you wanting to collaborate will be able to do so in a really easy way. Translations reaching a good level of completion will be included in the official final release of OpenNebula. We are excited to announce that Jonathan Grahl from King,com, German Gutiérrez from Booking.com, and Yordan Yordanov from Inoreader will be keynote speakers at the Seventh OpenNebula Cloud Conference, the must-attend open cloud event, that will take place on November 12-13 in Amsterdam. More speakers will be announced shortly and a preliminary program will be ready by the end of June. This is the sixth edition of this open cloud conference in Europe. The call for presentations is open through June 7 and the early bird registration is available through September 15. 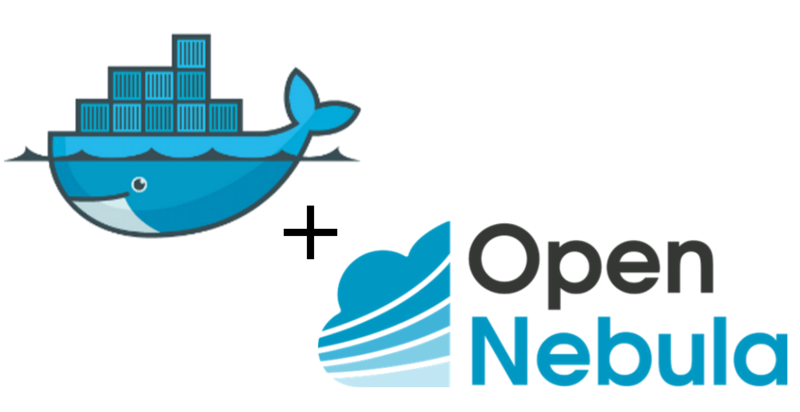 OpenNebula Conferences are vendor-neutral events focused on real-world practices and how to successfully implement open source in your cloud. They are education events that serve as a meeting point of cloud users, developers, administrators, integrators and researchers, featuring talks with real user experiences and use cases. They also include hands-on tutorials, lightning talks, and hacking sessions that provide an opportunity to discuss burning ideas, and meet face to face to discuss development. Previous speakers include Santander Bank, CentOS, European Space Agency, FermiLab, Puppet, Red Hat, BlackBerry, Telefonica,,Runtastic, Unity3D, Harvard University, Trivago and Citrix. OpenNebulaConf 2018 – Vey Early Bird Prices End May 15th. Don’t Miss Out! If you’re interested in coming to OpenNebulaConf 2018 in Amsterdam, you still have one week, until May 15h, to save 40% off full price passes. After then, ticket prices will go up, and we really don’t want you to miss out! https://opennebula.org/wp-content/uploads/2018/11/opennebula_cloud_logo_white_bg-4.png 0 0 OpenNebula https://opennebula.org/wp-content/uploads/2018/11/opennebula_cloud_logo_white_bg-4.png OpenNebula2018-05-07 21:03:072018-11-26 11:44:54OpenNebulaConf 2018 - Vey Early Bird Prices End May 15th. Don’t Miss Out! The best way to have a quick overview of the current state of your favourite Cloud Platform. Check out the latest news and events regarding OpenNebula and stay up to date with the work done in the past month. May will be full of events around OpenNebula, in the Outreach section of this newsletter you will find a review of all the TechDays, agenda and topics that will be discussed. Last month we have been working on solving all the reported issues and “voilá!” we brought three hotfix releases for you. OpenNebula 5.4.10 brought vOneCloud 3.0.6, which includes all the bug fixes and functionalities. Check this post for helpful links and further information. Find all the improvements and changelog on the Release Notes in our documentation site. Cloud view changes, for the better of course. End-users will be able to see and control their quotas in real time. Surely your users will love to have all this information and keep a real time control of their resources. As mentioned in past newsletters, the new amazing dashboard is faster and nicer, and this could only be possible with the integration of the latest Font Awesome libraries. We know many of the designers will love to play around with this new update. Last one, KVM and vCenter will be more united than ever! In the new OpenNebula you will be able to control your hypervisors under the same view. Lets go and start a quick review on the activity of our community. This section will go through all the actions concerning OpenNebula and community interests. Keep reading. Get your cloud up and running with this detailed tutorial written by Jonathan Philipos and published at Packet.net. In this tutorial you will learn how to build your cloud on fast and secure servers provided by Packet. We have already follow this tutorial step by step and it was so nice and simple that even we were surprised about the greatness of this synergy!. Find this tutorial here and delight yourself. Again our active partners from CSUC have made an interesting report on the OpenNebula provider for terraform developed by Runtastic team. Not only this, they have also a great tutorial explaining how to deploy kubernetes cluster on OpenNebula, in a fully automated way with Terraform and Ansible. Even more! They have another tutorial about how to deploy Docker machines in OpenNebula using the docker-machine driver. We would like to propose a big toast to this amazing work, cheers! To finish this section, we would like to encourage all the users of OpenNebula to send us their feedback. Use our github and forum for opening issues or asking for new features, this helps us to improve OpenNebula but more important, an active community, helps all the members that are part of it. So, don’t be shy and ask for help whenever you need it! As we mentioned on the introduction to this newsletter, May will be full of OpenNebula events around the globe. The nearest Technology Day is in Sofia, the beautiful capital of Bulgaria and will take place on Monday the 14th of May. Organised by StorPool, everything is prepared to have a great day of sharing and learning from the most experienced experts of the Cloud world. Seats are limited so, don’t miss the chance to get your free pass. You can read more detailed information like the agenda, speakers and topics, here. Register to this event here. 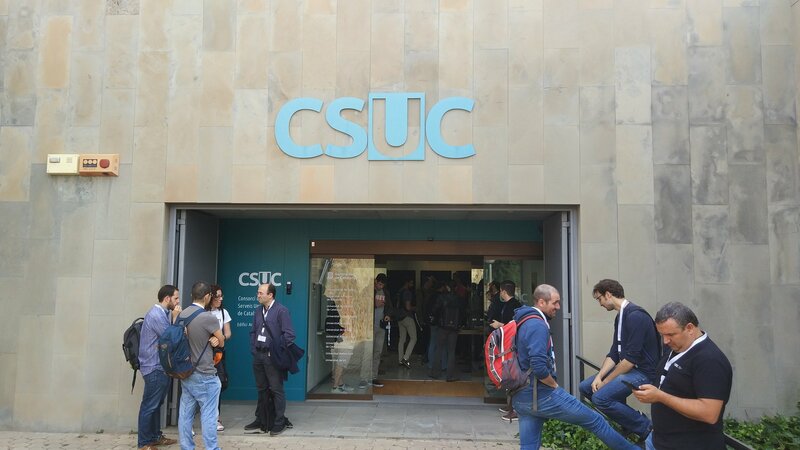 There will be a TechDay in Barcelona on the 28th of May hosted by CSUC. As in all our Technology Days here you will be able to attend a Hands-on Tutorial imparted by one of our Cloud Engineers. Also there will be many talks regarding Cloud Technologies. Unfortunately seats are limited, be quick and get yours here. And REMEMBER, very early bird tickets for OpenNebulaConf2018, Amsterdam 12-13 November, are available until May 15th, hurry up and get yours here! For the rest of the events visit our agenda.